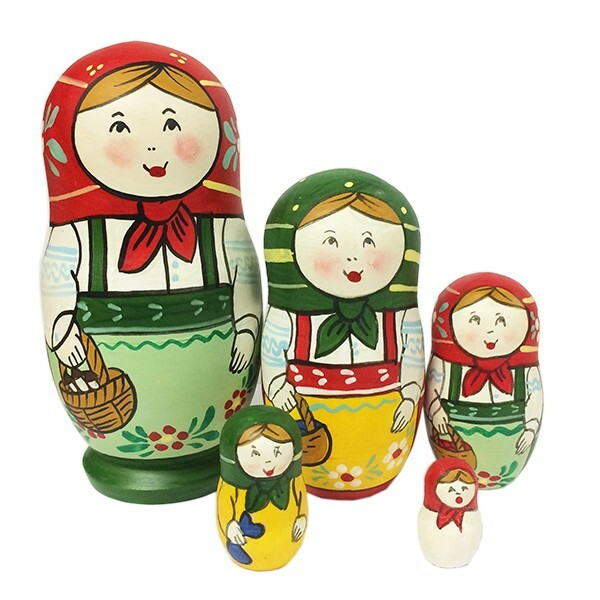 Matryoshka (nesting doll) toy is one of the symbols of Russia. Making one doll manually requires a lot of time and special materials (natural linden-tree, paints and varnishes of ancient recipes). In Russian traditions, a matryoshka symbolizes family well-being, wealth, and prosperity. For centuries talented Russian craftsmen have been creating these outstanding works of art to show the true beauty of Russian folklore. Present this gift with a meaning to somebody you really care for or treat yourself to this wonderful Russian masterpiece.